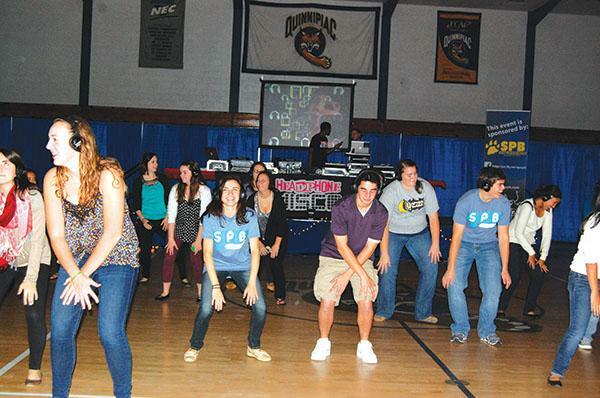 The relatively recent fad of silent dance parties made an appearance in Burt Kahn Court Saturday, Sept. 29. The Student Programming Board held its first “Headphone Disco,” adding a twist to Bobcats’ typical weekend night. Attendees were given headphones that allowed them to switch between two channels manned by two different DJs. They played different types of music, and at one point during the event, one half of the room was dancing to Beyoncé’s “Single Ladies” while the other did the “Wobble” all in total silence. Although there was room for more people, the energy remained high, especially when a happy-go-lucky song, such as Carly Rae Jepsen’s “Call Me Maybe,” started playing. Burt Kahn went from almost total silence to a massive jam session. 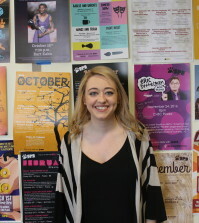 SPB member and attendee Allie Penta said she was really excited about the concept, as well. Between 90s Backstreet Boys and current chart toppers, as well as the switching of channels, a music environment was created that pleased everybody’s tastes and offered a chance to get completely immersed in the music. Despite the lack of people, Lauren Enea, president of SPB, said she was pleased with the event’s outcome.